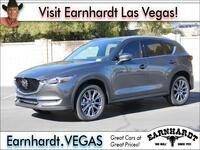 Few compact crossovers can compete with the athletic, affordable and luxurious Mazda CX-5. With the debut of the refined 2019 Mazda CX-5 – the best has gotten better. 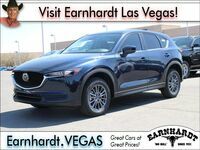 Armed with a turbocharged SKYACTIV®-G 2.5T powertrain and a luxury-infused Signature trim level, the 2019 Mazda CX-5 in Las Vegas, NV promises to be a fan favorite when it arrives at Earnhardt Mazda Las Vegas. When the 2019 Mazda CX-5 arrives at dealerships, it will be available five premium grades – Sport, Touring, Grand Touring, Grand Touring Reserve and Signature – that will start at just $24,350. Mazda CX-5 entries make room for five passengers in a spacious, fully-loaded cabin that adds an impressive 30.9 cubic feet of cargo space behind the second row that will expand to 59.6 cubic feet with the 40/20/40 split-folding rear seats laid flat. What’s New for the 2019 Mazda CX-5 Design? 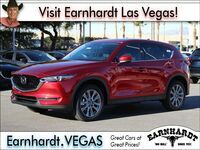 An elegant and athletic entry in the compact crossover segment, the 2019 Mazda CX-5 in Las Vegas is the total package. Drivers who choose the entry-level Mazda CX-5 Sport will enjoy a wealth of high-end features that will keep your family safe and connected no matter where your next adventure may take you. Mazda CX-5 Sport trims come standard with a 7-inch MAZDA CONNECT™ touchscreen infotainment system with easy access to Apple CarPlay and Android Auto, push-button start, Blind Spot Monitoring with Rear Cross Traffic Alert, Smart City Brake Support and a Tire Pressure Monitoring System. When families upgrade to the all-new Mazda CX-5 Signature trim level, they will enjoy next-level luxury at an affordable price. The Mazda CX-5 Signature employs premium Caturra Brown Nappa leather upholstery, genuine wood interior trim, satin chrome accents and ambient LED interior lighting to provide a luxury feel. Highlights of the luxurious Mazda CX-5 Signature trim level include heated and cooled front seats, heated rear seats, a heated steering wheel, a Bose® 10-speaker sound system, an Active Driving Display with Traffic Sign Recognition, Mazda Radar Cruise Control with Stop & Go, Lane Departure Warning with Lane-Keep Assist and much more. A glimpse under the hood of the 2019 Mazda CX-5 will reveal next-level powertrains that provide the perfect combination of power and efficiency. Mazda CX-5 Sport, Touring and Grand Touring trim levels feature a 187-horsepower 2.5-liter SKYACTIV®-G four-cylinder engine that pairs with a six-speed SKYACTIV®-Drive automatic transmission to earn 25 mpg in the city and 31 mpg on the highway. 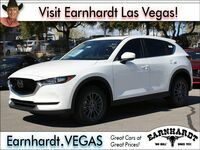 An upgrade to the Mazda CX-5 Grand Touring Reserve and Signature trim levels will add a power-packed 250-horsepower 2.5-liter turbocharged SKYACTIV®-G 2.5T four-cylinder engine that will achieve 22 mpg in the city and 27 mpg on the highway with a six-speed SKYACTIV®-Drive automatic and i-ACTIV AWD®.